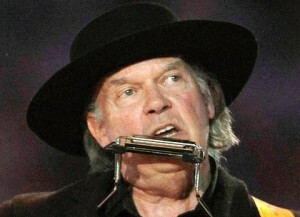 Neil Young – great musician but confused about meditation? So the song was in some way about the Maharishi. That made sense. The Maharishi did, after all, charge a considerable sum in order to learn TM, and his organisation still does. However, whatever TM is, it is surely not a concentration technique in which one blocks out thoughts and feelings. On the contrary, TM is supposed to be practiced with an accepting mental attitude (although the framework in which it is taught tends to inculcate an opposite mind set – see Tor Hersoug’s article on Acem and the Maharishi movement). I have little admiration for the Maharishi, but good old Neil just seems a bit confused about meditation basics in this song. Maybe Neil’s assosiations simply are as follows: Meditation=Maharishi=money=mp3=losing musical information=destroying Picasso=blocking out spontaneous thoughts and feelings. Any one else have any thoughts on this?